ly the climate is tropical and humid throughout the year. Many Irish travellers will use the island as a stopover. If this is for only 24 to 28 hours the extent of your jetlag may leave you little time to enjoy the country and its people. Throughout Indonesia there are many regions where it is unsafe to travel. The Parliament in Indonesia may impeach the President in the near future. Civil disturbance with student demonstrations in the capital Jakarta, earthquakes in the island of Sumatra, unrest regarding the independence of Timor and profound warring fractions on the island of Borneo has the potential to spill over into Bali. Nevertheless during the past years Bali has remained stable and there have been few reports of serious disturbances that have affected tourists or business travellers. Lombok is an island close to Bali often visited by tourists. It is regarded as more unstable and recently (Dec 2000) four explosions during fighting between two villages (Bongor & Parampuan). The main tourist region around Senggigi has remained quiet. The laws against illegal drugs are severe and travellers should ensure that they carry sufficient well-marked medication that they may require for their time in Indonesia. Travellers are required to show identification at any time and so carrying photocopies of your passport is a wise precaution. Keep all valuable documents in a safe place and do not flaunt personal wealth while travelling around the island. The nightlife in Bali is one of the main attractions for many tourists but sensible precautions are required. Travelling alone is unwise. Take care to ensure that your drink could not be spiked at any stage and do not walk at night, use an authorised taxi where possible. The level of HIV infection among the bar workers is high and close personal contact is very unwise. The level of available health facilities varies greatly through Bali and other parts of Indonesia. In general most of the main hotels will have English speaking doctors but care would be required if your illness requires hospitalisation. It is wise to maintain a high level of care with regard to your food and water while in Indonesia. This includes even those in high quality hotels but also particularly for those eating from street vendors. Bivalve shellfish (e.g. oysters, mussels, clams etc) should be avoided at all times due to inadequate cooking. Bottled water should be purchased from your hotel or good quality shops to ensure that it is pure. Malaria transmission occurs throughout Indonesia all year but the risk in Bali is so low that prophylaxis is not generally recommended for most tourists. Nevertheless for those visiting Lombok (overnight visits) the risk exists and prophylaxis should be considered. Other mosquito borne diseases also occur throughout Indonesia and care must be taken to avoid insect bites. In Jakarta and other main cities there is a particular problem with a viral disease called Dengue Fever. The mosquito, which transmits this disease, typically bites during the day and in main urban centres. The strength of the sun in Bali is considerable higher than that experienced in Ireland at any time of the year. Sufficient head covering should be worm when exposed and travellers should ensure that their fluid intake is sufficient. Salt depletion also needs to be replaced in times of significant perspiration. If swimming in pools, make sure that sufficient chlorination has been used. Take care with small children when close to the deep end of the pool. If sea swimming make sure that there are always others around and that you heed any local advice and warning signs. Never swim soon after alcohol or for an hour after mealtime. The extent of jet lag, which you will experience, depends on the duration of your flight and the amount of rest you were able to get before arrival. Try to rest for the first 24 hours to allow your body to acclimatise and make sure you do not fall asleep beside the swimming pool during this initial period. Other travellers planning a more rural or extensive trip may need to consider other vaccine cover against diseases like Hepatitis B, Japanese B Encephalitis, Rabies. The majority of those visiting Bali will enjoy the many tourist attractions on the island. However commonsense and care is required to ensure that you do not expose yourself to unnecessary risk. The staff of the Tropical Medical Bureau can be contacted at either of the numbers below if you require further information. Luwuk, Indonesia, April 12, 2019 (AFP) - A strong 6.8-magnitude earthquake rocked eastern Indonesia on Friday, reportedly killing one person and triggering a brief tsunami warning that sent panicked residents fleeing to higher ground. The quake struck at a relatively shallow depth of 17 kilometres (10 miles) off the east coast of Sulawesi island, the US Geological Survey said, where a 7.5-magnitude quake-tsunami around the city of Palu killed more than 4,300 people last year. Three light-to-moderate aftershocks occurred in the same area following the initial quake Friday, USGS reported. Indonesia's disaster agency issued a tsunami warning for coastal communities in Morowali district, where residents were advised to move away from the coast. The warning was later lifted by the agency, which had estimated the wave at under a half a metre (20 inches). Video footage from Luwuk city showed scared residents -- some carrying children -- running from their homes and racing to higher ground on motorcycles. The USGS warned that considerable damage was possible in poorly built or badly designed structures. Hapsah Abdul Madjid, who lives in Luwuk city in Banggai district, Central Sulawesi, where the tremor was felt strongly, said people fled to higher ground and the electricity was cut, adding that residents panicked as fears soared over an imminent tsunami. One person trying to flee fell and died, Kompas.com news website reported, citing a provincial health worker. Kompas identified the victim as Daeng Pasang, 66. The tremor off the eastern coast of Sulawesi is on the other side of the island from disaster-hit Palu, where residents still felt the quake despite being hundreds of kilometres away. "I ran straight outside after the earthquake -- everything was swaying," 29-year-old Palu resident Mahfuzah told AFP. Thousands in Palu were still living in makeshift shelters six months after the late September disaster, with at least 170,000 residents of the city and surrounding districts displaced and entire neighbourhoods still in ruins, despite life returning to normal in other areas of the tsunami-struck city. The force of last year's quake saw entire neighbourhoods levelled by liquefaction -- a process where the ground starts behaving like a liquid and swallows up the earth like quicksand. Apart from the damage to tens of thousands of buildings, the disaster destroyed fishing boats, shops and irrigation systems, robbing residents of their income. Indonesia has said the damage bill in Palu topped $900 million. The World Bank has offered the country up to $1 billion in loans to get the city back on its feet. Indonesia is one of the most disaster-prone nations on Earth due to its position straddling the so-called Pacific Ring of Fire, where tectonic plates collide. On boxing day December 26, 2004, a 9.1-magnitude earthquake struck westernmost Aceh province, causing a tsunami and killing more than 170,000 in Indonesia. Last year was also particularly tough, when Indonesia experienced more than 2,500 disasters ranging from a series of deadly earthquakes to killer landslides and volcanic eruptions. The sprawling archipelago is dotted with more than 100 volcanoes, including one in the middle of the Sunda Strait between Java and Sumatra islands that erupted in late 2018 and unleashed a tsunami that killed more than 400 people. Sentani, Indonesia, March 19, 2019 (AFP) - At least 89 people are known to have died after flash floods and landslides tore through Indonesia's Papua region, with the toll expected to rise further as rescuers hunt for dozens still missing, the national disaster agency said Tuesday. Scores have also been injured in the disaster, triggered by torrential rain on Saturday, with some 6,800 people evacuated to temporary shelters. The military has taken up the grim task of putting mud-caked corpses into body bags, with the search hampered by mountains of debris including rocks and fallen trees. Seventy-four people remain unaccounted for, while around 150 suffered broken bones, cuts and other injuries. "Many people are choosing to stay at shelters because they're still traumatised and scared of more flash floods, so some evacuation centres are packed," said national disaster agency spokesman Sutopo Purwo Nugroho. The government has issued a 14-day state of emergency in Papua, which shares a border with independent Papua New Guinea on an island just north of Australia. Flooding is common in Indonesia, especially during the rainy season which runs from October to April. In January, floods and landslides killed at least 70 people on Sulawesi island, while earlier this month hundreds in West Java province were forced to evacuate when torrential rains triggered severe flooding. Meanwhile, three people were killed -- including two Malaysian tourists -- and some 182 were injured after an earthquake Sunday triggered a landslide on the Indonesian tourist island of Lombok, next to Bali. Lombok was rocked by several earthquakes last summer, killing more than 500 people and leaving over 150,000 homeless. Last September, the country was hit by an earthquake and tsunami in Palu on Sulawesi island which killed around 2,200 people. The Southeast Asian archipelago of some 17,000 islands is one of the most disaster-prone nations on Earth, straddling the Pacific Ring of Fire, where tectonic plates collide. Earthquakes and volcanic eruptions are common. Mataram, Indonesia, March 17, 2019 (AFP) - At least two people were killed and dozens injured Sunday after an earthquake on the Indonesian tourist island of Lombok triggered a landslide, officials said. The 5.5-magnitude quake is thought to have caused the landslide at the Tiu Kelep waterfall in the north of the island. "Two people died in the landslide in the Tiu Kelep waterfall after the earthquake, one of them is a Malaysian," a disaster agency spokesman told AFP. At least 44 people were injured in the earthquake, according to the agency, including eight Malaysians, while more than 30 houses were destroyed and about 500 others slightly damaged. Indonesia is one of the most disaster-prone nations on Earth due to its position straddling the so-called Pacific Ring of Fire, where tectonic plates collide. Lombok was rocked by several earthquakes last summer, killing more than 500 people and leaving over 150,000 homeless. Last September, the country was hit by an earthquake and tsunami in Palu on Sulawesi island which killed around 2,200 people. Bandung, Indonesia, March 8, 2019 (AFP) - At least two people were killed and six more were missing after torrential rains and severe flooding in parts of Indonesia, the disaster agency said Friday, forcing the evacuation of hundreds of people. Heavy rain has pounded Indonesia for days, forcing the Citarum river -- dubbed "the world's dirtiest" -- on Java island to burst its banks, and causing deadly flash floods in the eastern part of the sprawling Southeast Asian archipelago. Residents in a dozen communities on the outskirts of Bandung city, east of the capital Jakarta, were forced to wade through streets filled with chest-high water in places. Images from the scene showed residents being moved to safety on pontoon boats and small wooden vessels. Floods and landslides killed a pair of residents in East Nusa Tenggara province on the island of Flores, the agency said. Six others are still missing and three people were injured, said national disaster agency spokesman Sutopo Purwo Nugroho. Flooding is common during Indonesia's rainy season, which runs roughly from October to April. In January, at least 70 people were killed when floods and landslides hit South Sulawesi province. The latest floods have affected over 30,000 people in parts of West Java and East Java provinces, the disaster agency said. The Citarum -- a nearly 300-kilometre (185-mile) water body that is a key source for hydroelectric power for Indonesia's most populous island Java and tourism hotspot Bali -- regularly bursts its banks during torrential rains. The World Bank declared it the most polluted river in the world a decade ago, a description widely picked up by media and environmentalists. Faced with a public health emergency after decades of failed clean-up efforts, Jakarta last year stepped in with a bold plan to make the Citarum's toxic waters drinkable by 2025. The river has long been a floating carpet of household rubbish, animal faeces and toxic chemicals dumped by nearby factories. On 15 February 2019, the Global Polio Eradication Initiative (GPEI) reported two genetically linked circulating vaccine derived polio virus (cVDPV) type 1 isolates; one from a case of acute flaccid paralysis, with onset of symptoms 27 November 2018 and the other from a healthy person who is a community contact in Papua province, Indonesia . The identification of these genetically linked isolates indicates that cVDPV1 is circulating in the community. This new outbreak is not linked to the ongoing outbreak of cVDPV1 in neighbouring Papua New Guinea . The GPEI and other agencies are continuing to evaluate this outbreak situation and response measures, including the planning and implementation of an immunization campaign . TravelHealthPro Country Information vaccination recommendations for Indonesia has been updated to reflect this recent outbreak. The official WHO Statement and the Temporary Recommendations will be issued shortly . 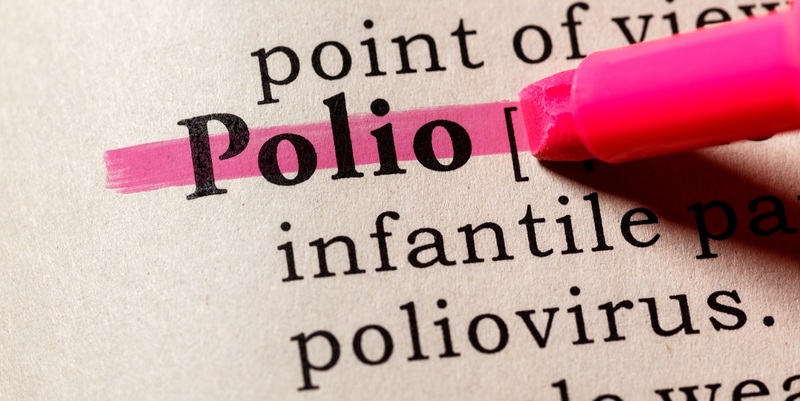 If you are travelling to countries reporting recent cVDPV, you should make sure you have completed a full course of a polio-containing vaccine. Vaccines used in the UK will provide protection against all types of polio. If your last dose of polio vaccine was given 10 or more years ago, you should have a booster dose. Children who are travelling should be up to date with an age appropriate course of polio vaccine. The polio status of countries is reviewed by World Health Organization on a regular basis and polio vaccination recommendations are subject to change. Further details on the global polio situation can be found on the Global Polio Eradication Initiative and WHO websites.